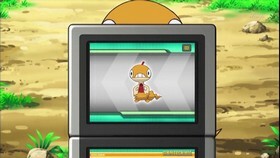 Scraggy - Hatched to Be Wild! 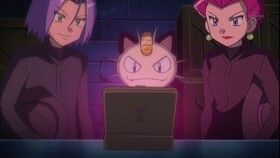 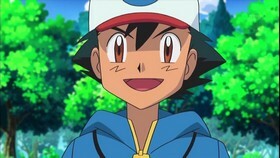 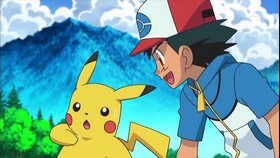 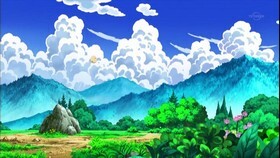 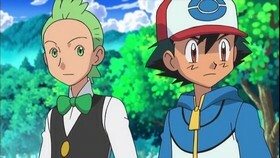 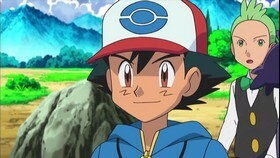 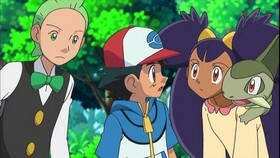 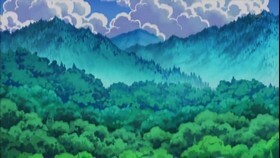 Ash and his friends continue toward Castelia City and Ash’s third Unova region Gym Battle. 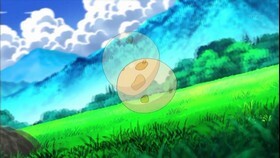 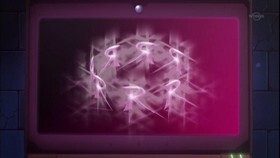 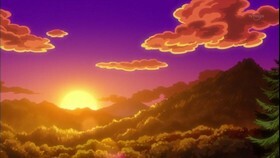 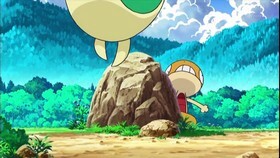 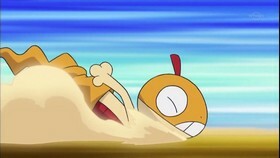 On the way, the Egg that our hero has been carrying finally hatches into...a Scraggy! 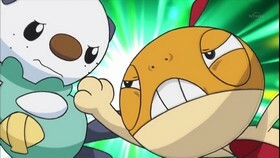 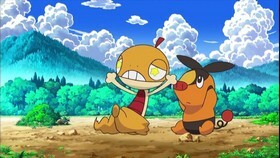 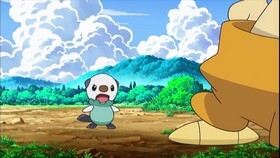 Everyone wants to greet the newly hatched Pokémon, but the feisty Scraggy decides to say hello with a Headbutt instead! 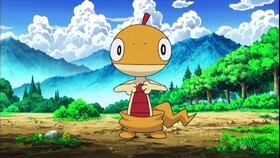 Scraggy seems to be a loner, choosing to eat by itself rather than join the group for dinner. 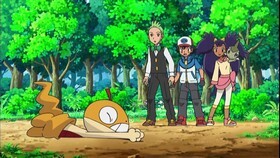 That night, our heroes wake up to discover that Scraggy has wandered off. 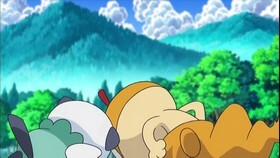 They finally find it practicing its Headbutt against a tree where a group of menacing Galvantula live! 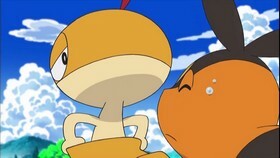 Scraggy shows great courage and tries to stand up to them despite being outnumbered. 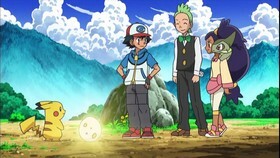 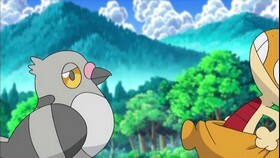 That’s when Ash and his friends come to the rescue: Pikachu’s powerful Thunderbolt sends the Galvantula back into their tree, but not before Scraggy takes a paralyzing hit from one of its angry opponents. 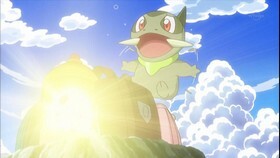 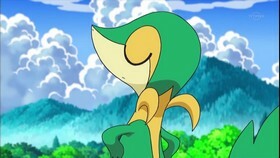 Iris whips up some herbal medicine for Scraggy, and after a good night’s sleep, the Pokémon starts to feel better. 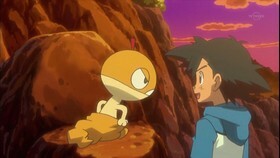 Scraggy finally calms down enough to settle into its new Poké Ball, becoming the newest member of Ash’s family!